By Dr. Sean Otto, business development, Cyient. The approval of electrocardiogram’s (EKG) through the FDA that enables atrial fibrillation detection right from a patient’s watch band is just one example of how the digitization of medical devices, a part of the Internet of Things movement, is leading product development and innovation in medicine. However, while medical devices built on a connected services platform include components for data storage, security, accessibility, and mobile applications, along with advanced analytics, successfully implementing artificial intelligence to drive actionable intelligence remains a challenge from an execution perspective. According to Gartner, 85 percent of data science projects fail. Successful integration of data science into medical device development requires a rethinking around the role of data science in product design and life-cycle management. To use a common metaphor, data science is not a single moon shot, but laps around a track. Ultimately your goal is to run progressively faster around the track. An equally major drawback hindering execution is artisan thinking where design is seen as the ultimate end to the data science process. In fact, the most desirable approach is a modular system with emphasis on consistently maintaining and improving what has already been designed. This is particularly true for medical devices where innovation and changes in technology are continuing to better support and enable patients and practitioners. One of the most recognized annual awards programs in the world today—the MedTech Breakthrough—has recently announced the results of its 2018 awardees. Evaluated by an independent expert panel, the nominees were carefully examined, and winners were selected based on various considerations. Awards were given according to the following categories: medtech leadership, clinical and health administration, patient engagement, electronic health records, genomics, internet-of-things (IoT) healthcare, medical data, mobile communication and telehealth, healthcare cybersecurity and medical devices. This award program is a testament to the continuous innovations in the field of medicine brought about by the incorporation of various technological advancements in other fields of science. The progress of medical science at present is obviously at its zenith as compared to its level of progress in the past. Medicine, for example has existed for several millennia, and most of it was largely non-scientific, for in earlier times medicine was closely associated with religious and superstitious beliefs. 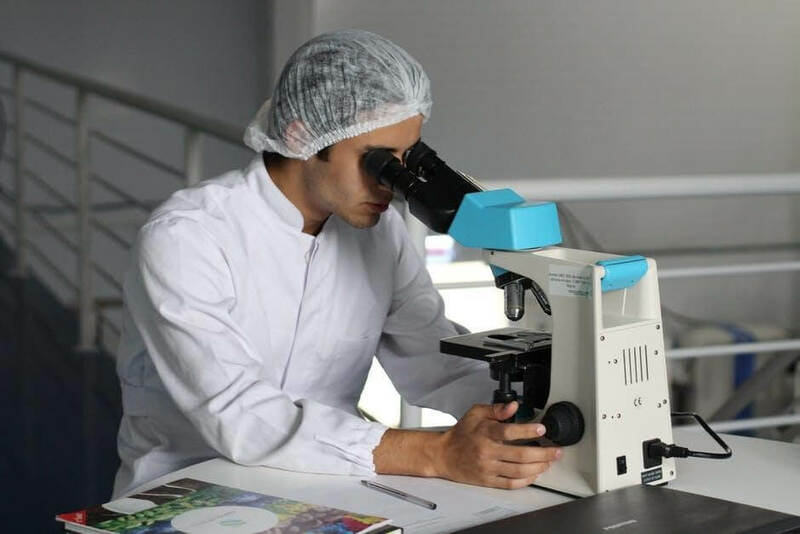 In our contemporary time, however, every aspect of medicine seems to be innovating at an unprecedented pace, and other technological advancements in fields like physics, genetics, computer programming and engineering, and chemistry seem to be all contributing to the progress of medical science and medical institutions. By simply looking at the above mentioned awards distributed by MedTech Breakthrough, for example, you would immediately see the inclusions of the internet-of-things, genomics, medical data, mobile communications and electronic records, all of which seem to have a somewhat detached relationship to medical science. Yet, it is obvious that the progress of medical science can no longer be isolated from other technological advancements. Medical science has slowly detached itself from alternative medicines by strictly subscribing to the scientific method in the diagnostic and treatment of diseases. If a medical practice, therefore, is based only on alternative medicines without the backings of scientific studies, it is presumed to be based on unwarranted assumptions without scientific merit. Scientific medicine, however, does not peremptorily debunk the efficiencies of alternative medicines, for that would be unwise. What it is debunking is the method by which alternative medicines assume the efficacious of their alternative methods of treatments. A good point of reference would be the practice of chiropractic. Chiropractors for example, start with the premise that diseases are simply indicative of the effects of subluxations. They focus then on the detection and eventual correction of vertebral subluxation to heal maladies. Although there are mixer chiropractors who combine diagnostic and treatment approaches from different osteopathic viewpoints, most of them still solely attribute diseases to subluxation. Yet, subluxation and its relationship to a disease is really hard to prove scientifically. 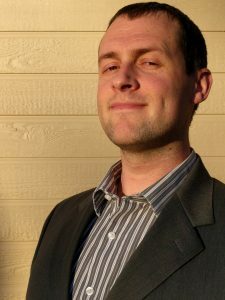 Guest post by Eduard Goodman, chief privacy officer, IDT911. Earlier this year, Centene Corporation lost six hard drives containing personal and health information of almost one million of its clients, including names, addresses, dates of birth, Social Security numbers, member identification numbers and health information. Unfortunately, Centene is only one of many healthcare organizations that recently had their sensitive patient information exposed. More than 113 million health records were breached in 2015 – which translates to one out of every three Americans being affected by a healthcare record breach last year. Medical identity theft is a disastrous trend that needs to be addressed. The good news is there are many steps healthcare organizations can take to reduce the risk of data breaches. As more and more healthcare organizations transition away from paper medical records and move to electronic health records, it is critical that security features are put in place to protect the vast amount of data being collected. Just as the digitally stored health information is more easily accessible for employees, it is also easier for cyber criminals to access. According to the Ponemon Institute’s The State of Cybersecurity in Healthcare Organizations in 2016 report, nearly half of those surveyed said their organizations have experienced an incident involving the loss or exposure of patient information during the last year. Strong encryption, routine vulnerability patches and multi-factor authentication are key to protect health data. Greater connectivity means more convenience, but this also opens more doors for hackers to access healthcare networks. 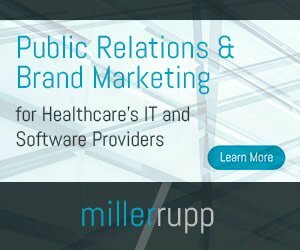 Healthcare organizations should set clear BYOD policies so employees understand what can and cannot be accessed from mobile devices, what operating systems are approved for use on the network, what security features and settings are required and what type of data can be stored on devices. While using mobile devices can significantly improve productivity, it is important to minimize security risks in order to protect sensitive data. The Internet of Things is a growing trend in the tech world that has also become popular in the healthcare industry. Now, medical devices can collect, track and share enormous amounts of data instantly through internet connectivity. 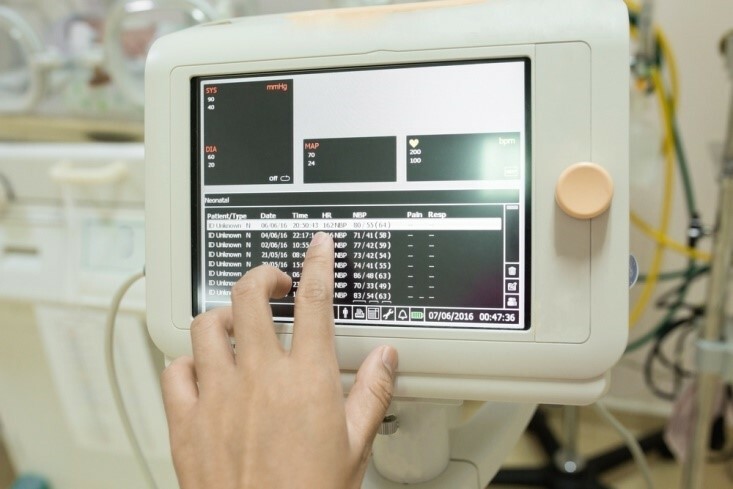 As these medical devices were most likely added to pre-existing networks, they may not have the necessary security protections. Security vulnerabilities are not just limited to EHR and health networks anymore – medical devices must be thoroughly inspected as well. Just as computers and servers are patched for vulnerabilities, medical devices that connect to healthcare networks must also be regularly patched. If these IoT enabled devices do not have the necessary layers of security, they will become an easy target for hackers to access the healthcare network. Guest post by Paddy Padmanabhan, CEO, Damo Consulting. Gartner has estimated that some 6.4 billion connected things will be in use by the end of 2016, with some 5.5 million new things getting connected every day. There’s been a clear boom in health and fitness wearables, with healthcare consumers investing in tracking devices – sometimes with their employer’s encouragement – and the MedTech industry has jumped on this in a big way. Fascinating IoT applications are being developed today, often through unlikely partnerships. For example, medical devices company Medtronic is developing an application that transmits wearables data to the IBM Watson cognitive computing and predictive analytics platform. And Swiss pharma company Novartis is joining hands with Qualcomm to develop an internet-connected inhaler that can send information to a cloud-based big data analytics platform for healthcare providers to use in treating patients. These are exciting examples of how technology and analytics can support personalized medicine. However, there are a couple of big issues that the IoT movement has to contend with when it comes to the Medical Internet of Things (IoT). These issues concern us as consumers, and they also concern our employers and our healthcare providers equally. Data security: The medtech industry is widely seen as unprepared for the security risk and vulnerability to hacking that their devices can cause for the rest of the healthcare system. This has immediate repercussions for consumers who may be unaware of the exposure of their personal medical information to cybercriminals. In addition, as healthcare providers start using medical information from these interconnected devices in a cloud-based environment, their enterprise IT, specifically electronic health record (EHR) systems, could be seriously compromised and vulnerable to hackers. And this brings us to the other, emerging issue that is beginning to get some attention in the exchange of IoT data. Privacy and legal concerns: While there are undisputable benefits for healthcare consumers as physicians gain access to medical information from a range of connected devices, there is a real threat to privacy as well. We start with the question of who owns the data. State law in the U.S varies when it comes to this question, and device makers and other software providers may lay claim to the data which can be used against consumers. At the same time, collecting personal data through devices imposes a set of legal requirements on enterprises, starting with proper disclosures about the collection and use of the information.